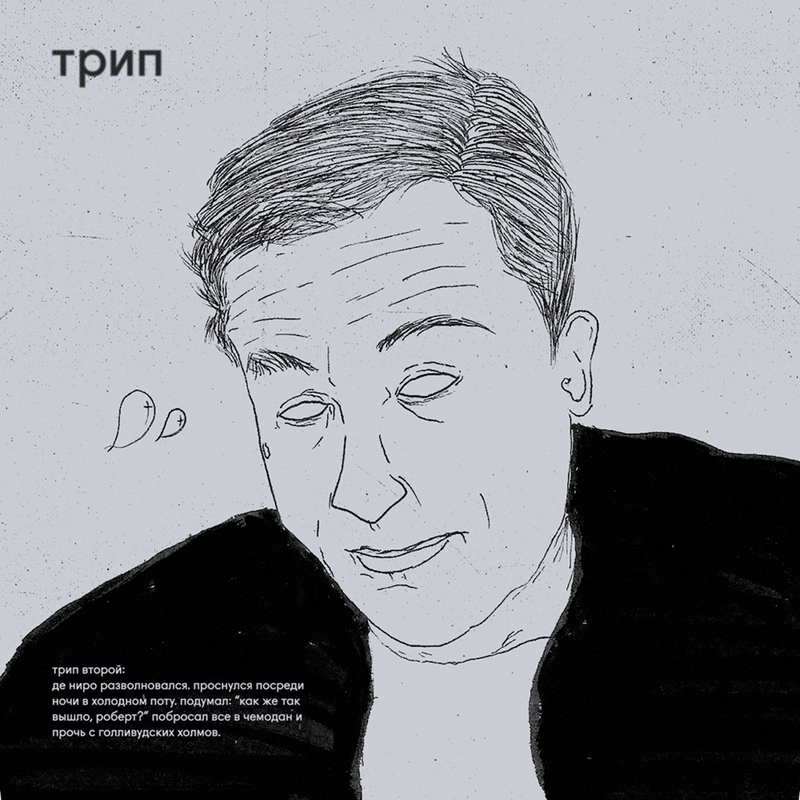 Trip (трип) is the feisty new label from Nina Kraviz that made a head turning start back in December with “The Deviant Octopus” that showcased some artists that look to be regulars in a wide ranging, often druggy collection of tracks, with a surprising variety on close listening. The second double pack adds to this with an extremely high quality selection of tracks from some of the aforementioned artists and that absolute missile of a tune from Barcode Population. Many of the tracks are live recordings and this gives the release a feeling of immediacy and intimacy. I love the subtlety of this production. A chattering percussion line and muted but powerful kick lay down the road, but travelling centre stage along it is the nagging, repetitive percussion taken straight from a voodo rhythm. This gives the tune a tribal and hypnotic feel, which is only added too by the pulsating, reverberating note running under everything. The breakdown is beautifully handled with a subtle drum fills, offbeat clapping hihats and a large dash of sheer musicality. Excellent work, one to really dive into. What is there to say about this track – a huge classic from 1996 and props to Nina for getting it on a release and out to a wider audience. The track was originally A1 on a highly sought after run of 300 called “All Aboard The USS Severe” and including it here isn’t just about unearthing an old gem, it 100% fits with the other tunes on the release. Instantly captivating with its punishing, high bpm kicks, chugging bassline, hat/clap/shaker combo and surgical acid line. The percussion reels you in and lets you drop, cranking up the energy to a frenetic euphoric break from which there is no escape, before introducing a second, popping melody and bringing forward the bassline to play out on. Major classic. Special mention on the Trip youtube video which captures perfectly what clubbing should be in my opinion – no rules, no egos, happy faces and room about freedom to express yourself to the music. Both a threatening statement and a trance like journey, this track adds yet another dimension to the release whilst again fitting snugly with the overall feel. There is such variety in this tune. Industiral knocks and claps. Breakbeats and 4/4, old school style. Floating, ethereal synth. Popping, trancey acid. Unnerving, deep melodies. But it’s so well arranged that none of that is hard work; it flows, develops and intermingles and makes total sense – epic and intense. Is a dense, brooding acid workout worthy of classic status. A solid, fast 808 and bassline pulls the track along like a freight train, whilst behind the main acid pattern (we’ll come to that) there are lots of other elements of interest. Most notable among these is a repetitive ethereal note, threatening to burst from the shadows for most of the track as it weaves in and out of the other elements. An abrasive, acid tinged squiggle that slowly creeps up and nabs your attention just before/around the first crescendo (yes it’s been there all along). On the acid – like all classic patterns this starts off regular and morphs and builds, adding extra notes, varying emphasis and cleverly using reverb and delay without losing it’s signature sound. TRP002 is out now on vinyl and digital from the normal retailers – but if you want the Barcode Population track be quick as it’s only on the wax. Trip is most definitely high on the watch list for future releases – well done to Nina for showing her committment to underground sounds old and new along with developing a unique form and direction for the label. Who knows what she’s got up her sleeve next? This entry was posted on June 12, 2015 by Death Techno. It was filed under DT:Reviews and was tagged with Barcode Population, Bjarki, Deniro, DTR, Exos, Nikita Zabelin, Nina Kraviz, Parrish Smith, Steve Stoll, Trip.